Britain is sleepwalking into a waste crisis, with Scotland the worst offender when it comes to recycling. A recent report revealed that Wales is the number one in the UK for recycling with a recycling rate of 57.3%, putting the country second in Europe, and third in the world. Yet England lags behind with a rate of 44.9% and Scotland comes in a wayward third, recycling only 42.8% of waste. Despite progress in Wales, the low levels of recycling in England and Scotland mean the UK will fail to meet its overall target of 50% recycling by 2020, unless changes are made now. 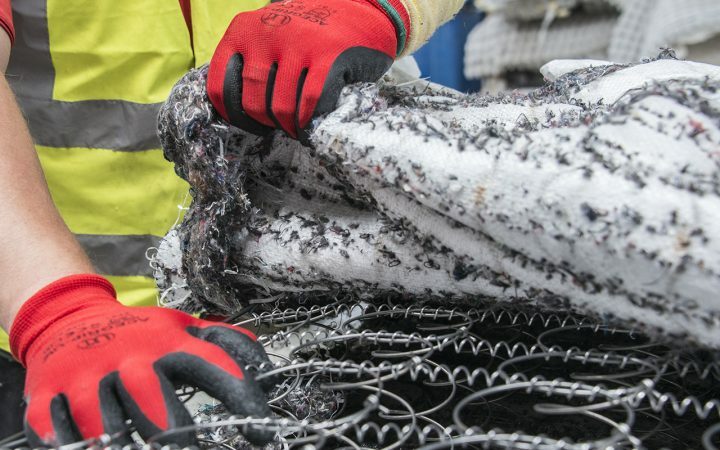 The current focus on plastics has left a mounting crisis when it comes to other waste, with a lack of attention on bulky waste like mattresses, Nick Oettinger, managing director at The Furniture Recycling Group (TFR Group) warns. 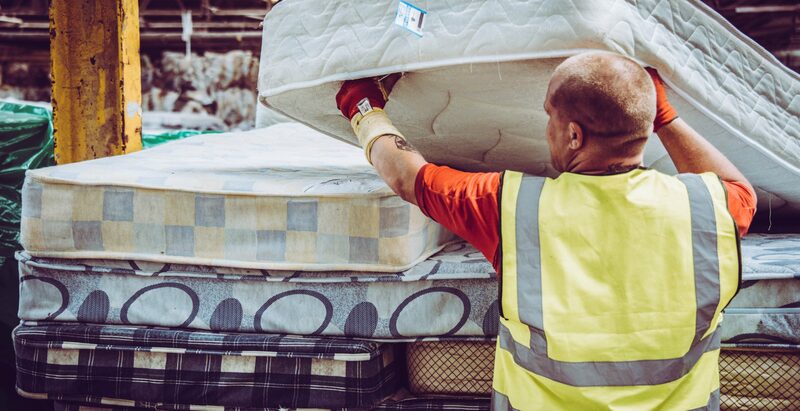 Mattress recycling is woefully inadequate, 167,000 tonnes of mattresses are still sent to landfill each year in the UK, according to figures from TFR Group. Much like overall recycling, it’s also a postcode lottery, with two mattresses recycled per head in Wales, compared to England’s average of one mattress per head. England also has huge regional discrepancies, with the North West recycling more than two mattresses per head, whilst the figures for East Anglia showing that less than 0.1 mattresses are recycled per head. There is a correlation between recycler availability and recycling rate. The North West and Wales have high recycling rates for mattresses as they have a high concentration of recyclers, whilst there are no recyclers and very low recycling recorded in East Midlands and Eastern England. Mattresses are a particular landfill problem, as recyclers can struggle to find space to store mattresses with an ever-growing mountain of mattresses going their way. Over seven million mattresses go to landfill each year in the UK, according to TFR Group, which is enough to fill Wembley Stadium five times over. Despite the landfill tax increasing every year, landfill still remains a cheaper option than recycling. TFR Group provides a sustainable outlet for this difficult waste stream by diverting 100% of mattresses processed away from landfill. 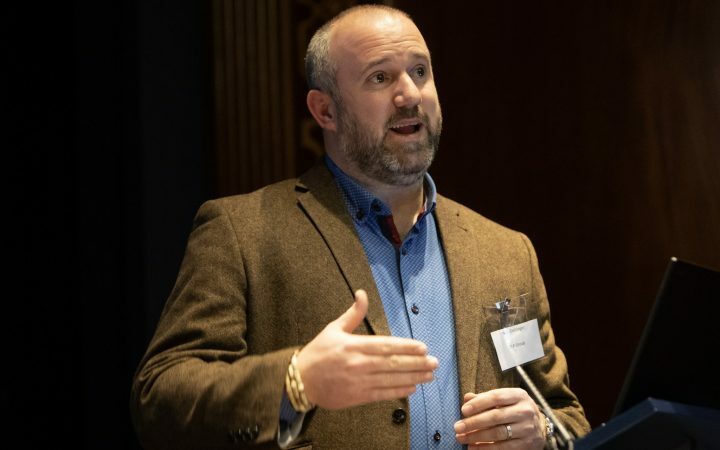 They work with the UK’s businesses and local authorities to recycle and repurpose mattress materials, creating a circular economy for mattresses and their component parts. 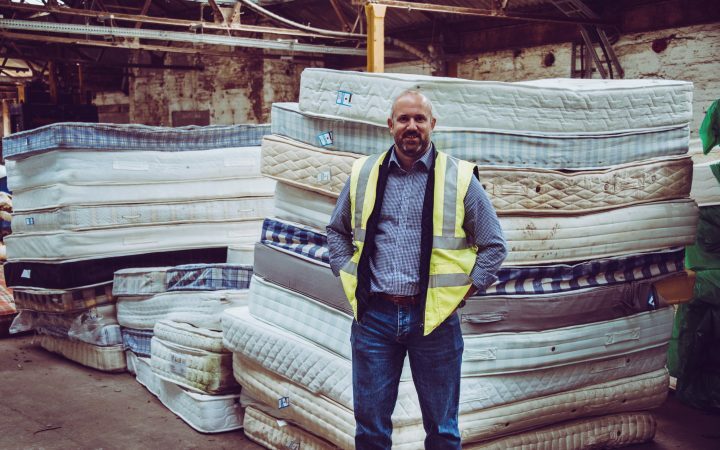 They have recycled over 1 million mattresses since launch, and currently recycle 7,000 mattresses every week; a figure which they aim to increase to 20,000 in 2018.